What if I have a bad memory and have trouble telling my story? How about if I’m not trying to lie, but it really seems to me that this accident has changed absolutely everything? Am I unreliable if I’m just exaggerating a little? In the recent case of Bramley v Lee (2016 BCSC 1105), Justice Warren discussed the reliability of the plaintiff and the plaintiff’s family, all of which was somewhat vague and inconsistent. In any personal injury case, the evidence of the plaintiff and their family, friends, and coworkers is critical in proving the case. A plaintiff who is willing to tell the whole truth with clarity – even where the truth seems detrimental to their case – is always in a better position that someone who tries to bend the facts of their life to fit into their personal injury claim. This is the case even where the plaintiff isn’t necessarily lying, but has tended to exaggerate, whether consciously or subconsciously. Below, Justice Warren weighs her concerns about the reliability of the plaintiff along with his wife and brother. The critical questions that need to be answered are what injuries were caused by the accident and what effect those injuries have had on Mr. Bramley’s life, and in particular, on his income earning capacity. As in most cases involving subjective complaints, the answers to these questions turn to a significant extent on the credibility and reliability of Mr. Bramley’s testimony and that of his witnesses. I found Mr. Bramley’s evidence to have some shortcomings. I did not conclude that he was intentionally untruthful. However, I did have some concerns about the reliability of his evidence. Mr. Bramley demonstrated a tendency to assume that anything negative that has happened to him since the accident must have been caused by the accident. The most obvious example of this was his insistence that some swelling he has experienced recently in his right leg is linked to the injuries he suffered in the accident more than six years earlier in spite of the lack of any medical evidence suggesting any link. Overall, Mr. Bramley’s testimony concerning the progression of his symptoms and the timing of significant events was vague and in some respects inconsistent. This was particularly true of his evidence about when his low back symptoms resolved. Mr. Bramley’s testimony about the impact his injuries had on his work was also very vague. This was particularly troubling because this is the most significant issue in the case. I was left with the impression that he assumed that the failure of DK’s business to flourish after 2009 simply must be related to his injuries and as a result he provided very imprecise and sometimes inconsistent evidence about the extent to which he reduced his physical work after the accident, the changes in the focus of Delaney Bramley’s work after the accident, the changes in the way he operated DK’s business after the accident, and the changes in his plans for DK’s business. It is fair to characterize his testimony on all these important points as almost devoid of detail. There were also shortcomings in Delaney Bramley’s evidence. It was my impression that he was overly influenced by a desire to provide testimony that he thought would assist his brother’s case. Some aspects of his evidence were vague and somewhat misleading. The clearest example of this concerned his testimony about the change in his duties at DK after the accident. Initially, he left the impression that Mr. Bramley was away from work quite a bit after the accident and as a result he had to curtail his outside marketing efforts in order to take care of things in the shop; however, it eventually became apparent that he had no reliable recollection of how much time Mr. Bramley missed from work. Initially, he left the impression that he virtually stopped all outside marketing and sales after the accident; however, on a consideration of the whole of the evidence, it is more likely than not that he continued in his marketing role after the accident while also spending some time in the shop. Finally, there were also shortcomings in Mrs. Bramley’s evidence. As with the testimony of Mr. Bramley and Delaney Bramley, some of her testimony was vague. She too was not clear about the extent to which Delaney Bramley ceased his outside sales efforts after the accident and specifically what he was doing in the shop when he was not tending to his sales and marketing role. She testified that there was a significant reduction in the number of service bookings at DK for as much as two years after the accident but, as discussed in more detail later, this is inconsistent with DK’s profit and loss statements which indicate that service bookings could not have decreased anywhere near as much as she testified they did. She also had a tendency to provide conclusions or opinions as opposed to limiting her testimony to her personal experience and observations. In the result, I found much of the testimony of Mr. Bramley, Delaney Bramley, and Mrs. Bramley unpersuasive. While the lack of credibility wasn’t fatal to the plaintiff’s case, it forced Justice Warren to rely primarily on other sources of evidence to the detriment of the plaintiff’s claim. 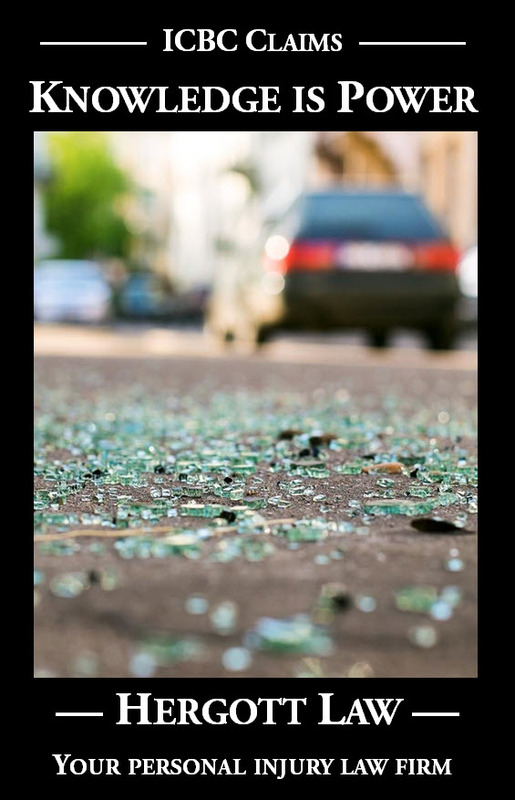 For example, a huge aspect of the case at bar was the losses the plaintiff claimed his business had suffered and would continue to suffer as a result of his crash injuries. He claimed a past loss of earning capacity in the range of $680,000.00 to $980,000.00 and loss of future earning capacity in the range of $645,000.00 to $1,600,00.00. Large parts of this claim relied on the testimony of the plaintiff, his brother (an employee), and his wife. In summary, there is an insufficient evidentiary foundation upon which to conclude that, had the accident not occurred, there is a realistic possibility that DK would have generated more revenues than it did in the past or than it will in the future. There is no dispute that DK’s earnings increased year-over-year during the roughly three years it was in business before the accident. I was persuaded that Mr. Bramley is a talented mechanic who is highly regarded for his knowledge and expertise. However, these factors alone are not enough to establish a real and substantial possibility that the injuries he suffered in the accident negatively impacted on DK’s financial performance. To the contrary, the evidence suggests that DK’s financial performance depends upon a constellation of market forces. The possibility that DK’s revenues would have been higher in the past or in the future had the accident not occurred is theoretical and speculative. This was a case in which the plaintiff had claimed well over $1,200,000.00 of damages, and ended up with a judgment for $86,342.50. In summation, one thing is clear – honesty really is the best policy.